This 2 bedroom 2 full bath high rise condo is only steps from Crescent Beach. 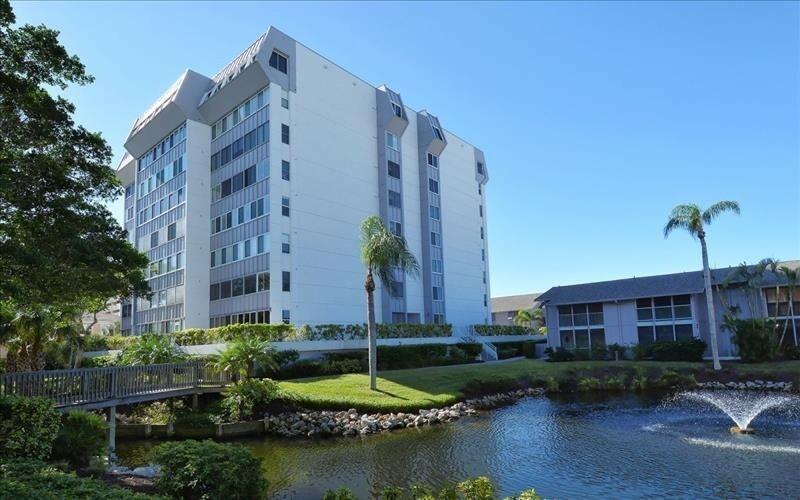 With wrap around views of Siesta Key and Peppertree Bay compound there is no bad seat in the unit. Complete with a full kitchen and a small dinette table and chairs. The formal dining space flows into the living room then on to the lanai. The unit comfortably sleeps 6, Master has King bed and the guest bedroom also King . The unit also has a sofa sleeper in the living room. This charming unit brings the whole family together with leather furniture and large flat screen TV in the living room, also TV's in both bedrooms. Master bath has a tub/shower combination and the guest bath is a walk in shower. Please contact me with information regarding Gulfside Mid-Rise Unit 503F.